[NOTE] The post that I wrote has been removed following the receipt of a “CEASE AND DESIST LETTER” from Rodney E. Gould of the law firm of Rubin, Hay & Gould, P.C. in Framingham, MA, which represents the Nordost Corporation of Holliston, MA. THE POST PREVIOUSLY POSTED HERE WAS REMOVED AT 9:39 APRIL 30, 2016. Thanks for reporting on these issues Mark, and championing the cause for better recordings. Where they selling medicine in bottles out of the back of a wagon as well? Smoke and mirrors. Well done Mark. This has made the evening for me. I’m hoping this has the same fallout as the AudioQuest fiasco. I’m off now to Youtube to watch one of those Nordost valhalla demo vides and see if we can spot the little shits switching the tracks. Thank you for providing us with honest and a straight forward information. I attended Axpona for the first time and focused my visit on equipment and music which I found plenty of, I steered well clear of all the “add on” high end products. Did you manage to make it by the AIX and partners room? Yes I did and picked up one of the sample discs, the experience has opened my ears to something that is extraordinary but truly authentic. My best stop of the show. Mark, sorry about tagging on another note but I just had to return the “Thank you”. Finally had the chance to hook up an old Blue Ray player into my 15 year old Sony Digital AV Receiver and watch and listen to the sampler disc. Listening through a pair of 15 year old Danish bookshelf speakers along with a 22 year old subwoofer in stereo what I heard was of such quality and life I was just amazed. My little system has never sounded this good. 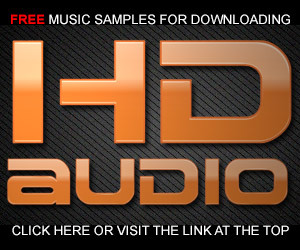 Your recordings are of such quality they truly define a new level of hi-fi. Thanks! Thanks for the report Mark. People want to believe and when they read the nonsense coming from the usual audio magazines they are swayed. I’m a bit troubled by the “Solved” part of the title. What you have is an untested hypothesis. It’s a good hypothesis, but you have no “proof” that takes the hypothesis to the “solved” stage. It won’t be “solved” until there is some sort of recording of the presentation that would reveal whether there are level differences when the tracks are played back. OR having people in the audience ask for demos using their own CDs (to rule out duplicate tracks at different playback levels). OR getting into serious “spy” territory, someone could distract the people in the room (after the demo is complete) while an accomplice makes off with the CD being used for the demos, takes it elsewhere to duplicate it or have a look at the disc structure, then return it to the room before the next demo. But having printed this hypothesis where it’s accessible to the public… if there was something shady going on, it probably won’t take long for the demos to change in format so there’s no “getting caught” at future shows — if there really was something shady going on. Perhaps “solved” is too strong. I was troubled by the demo and struggled to figure out why the sound was louder during the second pass…this hypothesis “solved” it for me. Or read what Gary Whitton has to say in his comment. I think the cable hucksters know about this. I appreciate that you have the time to expose and convey the reality of this kind of BS for what it is, Mark. The sad part is that there’s a few bad actors who are undermining the many honest businesses in the industry. It’s not something that will serve the majority of the industry well by ignoring truth and ethics. The industry already has a shaky reputation for being dishonest marketing with regard to provenance in “remastered” recordings, misleading tech specs for equipment and an almost criminal use of metaphors “creatively” related to sound. The public can’t even rely on the sources of information we gobble up in magazines and online reviews. Thank you for having the expertise and integrity to provide a reliable source of science based information that consumers have always been hungry for and the industry has mostly failed to deliver. 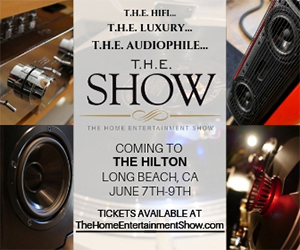 There are honest vendors in the audio business but I can’t say I would describe the high-end cable makers or the tilted press writers with that attribute. There is another reason why listening to the same track a second time would have sounded louder than listening to it the first time, even if the two tracks were identical or the same track is played twice. This is a well known psychological phenomenon which can be easily tested by everybody. 1. Listen to a track or part of a track – shorter test with good dynamic variance is better because of short audible memory most people have. Listen as intently as you can without any interference from thoughts, words in mind, just listen in silence as well as possible. 2. Stop playing the track and relax for a short while. 20 to 30 seconds is sufficient. 3. Play the same track again without changing any volume or setup controls. Listen in the same way, as best you can. This second listening will ALWAYS SOUND LOUDER to about 95% of the population. Possibly the 5% who don’t get it are not listening in complete silence. It is not a trick, it is the way the mind works. It is a psychological phenomenon; the mind, having heard the track once, will recognise it when played the second time and experience the sounds as being louder. When perceived to be louder, the sounds are mostly perceived to be better, clearer, more resolved. You cannot help it or stop it or make it happen. It is just the way the mind works. Many unscrupulous HiFi sales people use this phenomenon to sell the stuff they want to sell by simply playing the “second time” using the amp / source device / cable / whatever they want to sell on that second trip, to prove it sounds better. Try it ! Please take care, great care. Very interesting…and thanks for the explanation. This may be a contributing factor in what people hear…but I’m very confident that the second time they played the track it was louder. Thanks for the info debunking the so-called magic cables. I am now certain the Audioquest demo I witnessed at the Montreal Audio Show last year was rigged. The presenter progressively changed only the digital connections including the network cable. The sound of the same track was slightly cleaner every time, not necessarily louder. We could not see the track chosen by the presenter on his portable as we were too far away and he was not using a projector or large screen. I am now quite certain the tracks chosen were progressively higher resolution copies. How else could he account for the différences? Keep up your crusade, it is refreshing to read the truth in this day and age of massive social media disinformation. I have a real estate client who, for a living, has to test and measure and source components for the military. These are always high specification items, designed for extreme conditions and even for space travel. There are applications in this area that require cables and interconnects. I showed him some of the ads I received for the high end cables and the specs that were quoted. He says that he has been in a lot of the factories around the world where these are made (including Chinese factories although those would not be for military use as the US military does not allow all foreign sourced materials) and has analyzed the manufacturing process and techniques. He says this is really all a lot of nonsense from his perspective. He agrees the sheathing and the outer covers look very cool, but, at the end of the day, he says that the military spec’d cables of the nature of these interconnects would be $20 – 30 cost to him. re mr audio critic and your repost of his views. These are a over simplification of the real effects that occur. The miles and miles of cable from the power station to your house and the last 6 foot unfortunately is a bogus argument. As there are a large number of transformers in the power distribution system. Its only the last local transformer to your appliance that is relevant to any effects or otherwise (clue impedance). It is the LRC and noise induction of the wires that effects your sound you hear if the appliance have less than near perfect power supplies (which is often the case). A near perfect PSU should isolate the power it supplies (DC) from the mains AC. but we don’t live in a perfect world. This is why PS Audio’s power boxes work:- the are very well designed filters (based on well know low noise engineering principles) that also provide an impedance isolation from the incoming supply. So the electrical coupling then becomes the connection from the PS box to the appliance only and the inductance + resistance and to much lesser effect the capacitance and impedance matching of that connection. Not the $$$$ you’ve paid for them. Chris…you’ve switched the topic from bogus power cords to power conditioners. It is certainly possible to improve the quality of the power being distributed to your components with a power conditioner, if your power is questionable or your components power supplies are poorly designed and built. The point is a simple $2 IEC power cord can supply the “cleaned” power as well as a $6000 “designer” cord. Power conditioners are completely different discussion. I have one supplied to me by Audience…it’s a very nice piece. But the music I play in my studio sounds just as good without it. Good sleuthing Mark. How disingenuous (and deliciously evil) of them to raise the volume on the CD itself. I agree with David Whitton that simply stopping the music for a while makes it sound louder when it plays again later. This is due to the volume compression that occurs naturally in our ears. The “release” time constant is relatively slow, so after 20+ seconds of quiet our internal volume goes back up. The louder the sound, the more strongly this effect occurs. The real question is why are aren’t these jerks in jail? Surely this type of marketing deception is criminal, no? Hi Ethan glad to see your on here, i’ve not been on the asylum for a few years now. As always glad of your input especially on the physiological effects of listening. and your right about some pepople needing to be locked up. I just wish more people knew of these effects and then they couldnt be conned by these bogus dem’s. While I don’t think really expensive power cords are necessary, power cords can have an effect on sound. It may be the design, or gauge, or noise on the line, I can’t answer that. Instead of looking at it as the last three feet, consider it the first three feet. I would hope you agree that having your system on a dedicated breaker, running something like 10 or 12 gauge from the box, using a quality outlet will give you cleaner power. I personally have never been too concerned about power cords, years ago, I built some diy cables and recently bought some Pangea cords from Audio Advisor. Ok, I have been having some problems with the transformer in my amp, audibly buzzing. I could hear it from my listening chair. I replaced a power cable with one that had a tighter fit. The buzz is intermittent. Well, it came back, and I inserted the cable that came with the amp. Sounded fine. Problem came back and I put in a diy cable. Now I have had no expectations of any change in sound. But to my surprise, bass became muddy and the high end was suppressed. I went to another diy cord, just a run of 14 gauge with a P&S plug and a Marinco IEC, sound was back to being balanced. Now, I’m not saying you need to spend big dollars on a power cord, what I am saying is they can and do have an effect on sound. For those with highly resolving systems, go build some simple cords, using different wire and geometry of the wiring, consider shielded or not shielded. I do believe that power cords should be the last step in optimizing your cables. I also believe that every detail matters in a high end system. It is a shame that some companies feel the need to use trickery to prove a point. It gives all cable companies a bad name. I say trust your ears, buy from a dealer or company that will allow returns, and listen. Do it in your own system, use your own reference material. A little common sense, and an open mind is needed to decide whether better/different cables are a value in your system. 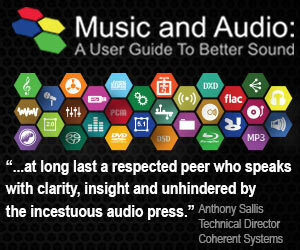 Not everything can be measured, or can specs always determine sound quality. I believed that in the ’70s, when I bought Crown gear based on specs. That system sounded terrible compared to what I have assembled, based on adding listening to the equation. 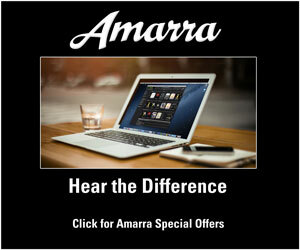 Yes specs matter, but they are only one part of the equation, to enjoyable high end sound. For those who can afford it, a power re-generator, like PS Audio sells, can take all those miles of crappy wire out of the equation. Mark, I do agree with you advocating for better recordings, and true high resolution, but the thing is a lot of great music is out there, and as a music lover, I choose to listen to those recordings, even if they don’t sound as good as your limited catalog. If you put together a system that only is enjoyable with a few dozen LPs/CDs/files, then you need to work on that system. Enjoying the tracks you love is the pay off for all audiophiles…including me. I love listening to James Taylor, Joni Mitchel, and Glenn Gould. A high-end power cord vendor sent me a $3000 power cord, which I compared by A|B switching in my main studio through two identical Benchmark DACs. I couldn’t hear any difference..nor could any of the other engineers in the building. Unless you have other problems with your power source, the normal $2 cable will provide all of the power requirements of your audio components. A chain is only as strong as the weakest link. The quality of cable in the power grid is not ” audiophile” quality, so how can you expect a few meters of “audiophile” quality cable to “improve” the sound. Certainly cables can change the sound of a system, but usually not in a good way. If an interconnect cable has a blatant audio effect, then it could be accurately assumed that the cable is in fact not acting as a cable, but as an electronic component, e.g. capacitor or even semi-conductor. There are often many clever ways to pull off these tricks. One way could involve a hidden preamp with a wireless radio controlled remote that someone out of sight adjusts after each cord. The same occurs when the assistant asks someone in the audience to whisper something in her ear. She softly repeats it and the magician on the stage hears it through a radio in his pocket and an earphone hidden in his ear. Voila, magic. If the CD player actually could be affected that way by a power cord, it wouldn’t be much of a CD player now would it. There’s one born every minute. Never give him an even break. He’s just dying to give away his cow for that bag of magic beans. Mark, i think you should explain Fletcher-Munson to your audience at some point. I’ve written about it several times (Google “Level Match Your Life)” in the context of the Loudness War. But this is yet another example of why volume normalization is so important when engaging in any kind of critical listening exercise. You’re right about the Flectcher-Munson curves. I have written about them in the book but need to bring them to the blog. Thanks. Hmm, seems they changed their game. I was in that room two years ago at AXPONA. There was no volume change then. I was straining to hear a difference with the $200 cord and could tell no difference whatsoever with the $750 cord (there were nods of approval all around me, however). There may be sound (no pun intended) reasons for having a larger gauge wire, especially for power, but it may have to be a “feel good” change rather than an audible one. I have, on occasion, heard a difference between or among several cables, and price was rarely the overriding determinant. In fact, on three occasions, separated by many years and across several systems, I chose one of the less expensive (once, the least expensive) cable(s) as sounding the best. In fact, one of those is still in use! There was definitely a change in volume or mastering (it is possible to keep the peaks the same with an increase in perceived volume). “Powers cords are the most vital cables in your hifi system” according to the Nordost brochure. Why then would companies like Benchmark recommend using the cables that come with their DACs. We didn’t have any expensive power cords in my demo room at AXPONA…and the sound and music topped anything at the show. customer is free to switch back and forth as many times as desired and with as many different recordings as necessary to come to a decision. Many of the reports I get back from these clients indicate that they do hear a difference between various levels of cables and they make the purchase . Others find the difference to be less significant and opt to follow my recommendation to spend the money where it makes the biggest improvement in sound quality. While I personally do not find the second listening louder than the first, I did hear a test where a person spoke over a lot of background noise which made the words unintelligible on first listening. Then the same sentence was spoken without the background noise. Upon listening to the track again with the background noise included, I could now clearly understand what was being said. I have observed a similar thing with audio comparisons – I will listen to a recording, then upgrade a piece of equipment or cable and listen again and I will hear things that I didn’t hear before. But if I then go back to the original system, I will still hear those things that I didn’t hear the first time. Once you know something is there you will hear it, but it took the better quality system or component or cable to allow you to hear it in the first place. I have had way too many clients take home just one power cord who have come back astounded by the difference they hear, and purchase another one, to dismiss the effect out of hand as those would go strictly by measurements do. Dennis, if you can sell cables for high prices and people believe they work, then fine. But what I have experienced over the last six months tells me that the cable makers are willing to fake results to attract customers. Expensive power cords are a total waste of money. You clients are fooling themselves. I measured Synergistic Research demo: 0.4dB increase between each step. And they sell “acoustic treatments”. SPL should only go down. The sales rep is the only one touching the remote during the entire session. Couldn’t get good readings but it is clear enough that is visible in the graphs just by looking at them; same song suddenly has a lot more energy after the “acoustic treatment” is added, ie magic coins and one black box…. Thanks Kennett…I’m not surprised at all. The SR products are among the most dubious on the market. IMHO it’s all snake oil. Good Observation Mark, showing how easily we can be manipulated during demos’ . When it come to best energize your HIFI equipment it doesn’t have to be expensive but needs some thinking, planning and execution. To get best out of your Hifi system you have to start from scratch in the Elec distribution box in your house or appartment and route a dedicated feed as thick as you possible can within reason of course. I use for my system 3×2,5 mm2 and a dedicated fuse plus a wall-mounted outlet like Furutech or similar. 2nd step a decent power strip and there is a ton of them out there make sure to buy one better than Wallmart. 3rd the actual ac cable for each unit in your system you’ll find pretty good ones on ebay for resonable prizes. 4th action is to make sure to line up the live wire correctly into to your unit and to make sure of this, use a live wire detector. Exact how to use it you can find on the Internet. 5th (optional) This depends if you have 3-phases in your house or appartment. Figure out which phase feed do not have any motors, refrigerators etc which goes on and off , use this one to feed your HIFi system. Having done the above you don’t need any 6000 $ you actually done more for less than 1/10 of that sum that any snake cable in the World can do for your system. Be interested to know how you can conduct an A/B comparison to show that the changes you have made result in measurable improvement. Clearly the designers of all the power supplies used in your hifi were ignorant of these rather obvious matters (/sarc). In the 80s I was posted to East Africa, where the local electricity supply was erratic. Expat houses like mine therefore each had a 65 kVA standby generator installed in a shed in the garden. When in use, “pure” electricity thus flowed – an audiophile’s dream, surely. However, on careful listening to my system (Quad 44/405 amplification, Meridian MCD CD player, Rogers LS3/5a speakers) there was absolutely no audible difference between using the mains or the standby power supply. Doing A|B testing is not difficult or tricky…but you have to have identical signal paths with the exception of the changed component or cable. I’ve done this with both digital and analog signals. Power cords and digital cables don’t matter if they’re good quality. Fully agree, Mark. My comment was addressed to Goran Magnusson’s proposal to run a separate power cable from the distribution box to the hifi room, and also to change the mains cables on each component of the the hifi. I’d challenge anyone to do a meaningful A/B comparison of that. For what it’s worth, I have found that power conditioners, at least my Adcom one, make an appreciable improvement, for a fraction of the price of an exotic cable. I plugged in my Benchmark DAC2 and there was an instant and appreciable improvement. The point someone else made about the low quality of the mains wiring in your home is a very valid one. If, however, you can cut out some of the nasties just before they get into a standard component mains cable then it seems to be a worthwhile change. Of course ymmv. The average audiophile should have much better things to spend money on than silly cables costing thousands. A power conditioner is a very different beast than an expensive power cord that claims to do “power conditioning” like the guy in the Nordost room stated. But there will only be a benefit if your power is bad and the equipment that you’re powering doesn’t have proper filter and design in the power supply. 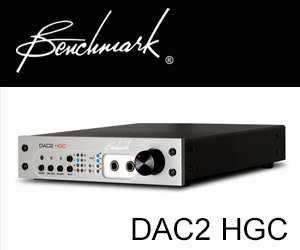 And I can assure you that the Benchmark DAC2 is properly designed…I have one. I have no doubting the integrity of the Benchmark DAC2 – it’s an unbelievably great piece of kit, as you know. However there was a very notable general improvement in the sound presentation when I plugged it into the conditioner, compared with the pretty decent surge protector it had previously been mated with. Whereas chasing rainbows with ultra expensive cables is sheer folly, I do still think that one can hear variations in the combinations of connections one uses. But I agree 100% that a mains cable isn’t a power conditioner. A power conditioner can have an effect on an audio component. But it means that there is something amiss in your home’s wiring and power. Sending a product home with the customer to try is known in sales as the “puppy dog close” (google that), modeled after the idea of sending a puppy home to “try for a few days”, with return possible at any time. They almost never are returned. It works for lots of things, home furnishings, jewelry, and expensive cables included. When combined with the power of expectation bias, supported by strong cable reviews, tactile and visual input, and of course, the price tag, a percieved improvement is almost assured, the cable will be kept. Doing an ABX/DBT on a power cable or power conditioner is not an overly complex matter. I don’t recall it having ever been done, though. I didn’t know this sales method had a name but it sure fits the scheme. I’ve done the ABX test on an expensive power cord. There was no difference in the fidelity based on the quality of the cables. A proper blind test was actually done on exactly Nordost power cords. It is from an audiophile website, so there are initially many excuses to why blind test are invalid, but they do seem to accept the result in the end. Looks like someone can’t “handle the truth”! Sal, this is a bottom line business.